Hi everyone, hope you are all having a lovely day. 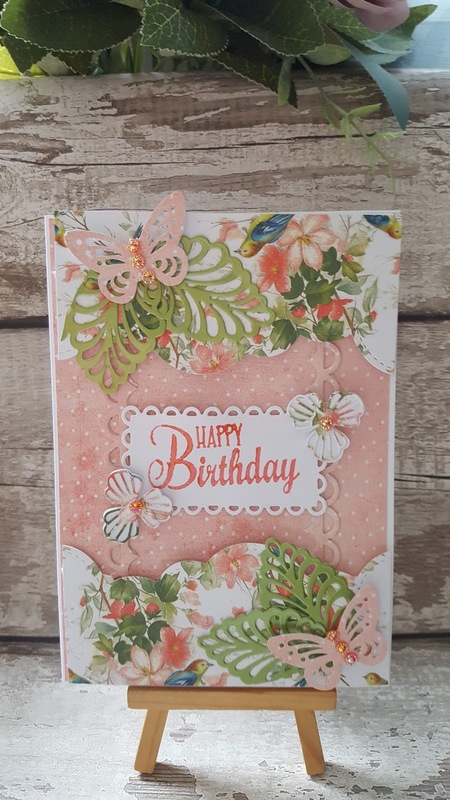 I have managed to get into my crafty space and make this card whilst the children are out for an hour, I am finding it hard to get the time with the children on their summer holidays so I grab the chance whenever I can. 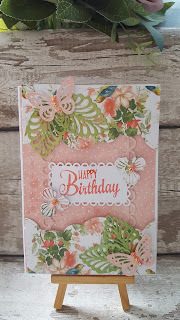 I made this card using all unbranded dies and one paper pad, I love the paper pad it is so vintage looking with gold foiled papers and glittery papers, I got the paper pad from The Range for anybody who lives in the UK. I have made a tutorial over on my You Tube channel and I will leave a link below. Many thanks if you are able to take a look.